The feature documentary film about Maplewood writer, actor, and activist Michael Lally just wrapped production, and we're having a party to celebrate! 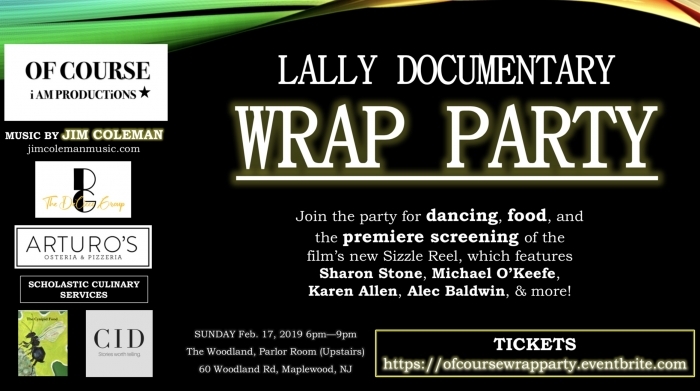 Join the party for dancing, food, and the premiere screening of the film's new Sizzle Reel, which features Sharon Stone, Michael O'Keefe, Karen Allen, Alec Baldwin, & more. Ticket sales function as a fundraiser to jump-start post-production, but most important is having you there. Select the suggested ticket that best fits, or use the "Creative Star" option to choose your own price (no minimum required). Can't wait to celebrate this milestone with you!